HAB-2 carried three cameras: two photo and one video. To shoot high-quality pictures, we launched Canon XS camera with Canon 24mm f/2.8 STM lens. Camera’s shutter release was connected to sensor board, which triggered it every five seconds. Power: with manual focus and LCD turned off, standard LP-E5 battery pack delivered ~3,500 shots. (Canon claims only 600 shots in its specification – but I guess auto-focus and LCD are real power hogs). Focus: Using Canon EOS utility and Remove Live View, I manually focused the lens on infinity (a tree far away). Once the lens was focused perfectly, I taped focus ring in place. To prevent front lens element from moving, I applied a few drops of hot glue between front element and lens body. Triggering: camera’s remote shutter release was connected with a cable to sensor board, which “pushed the button” every 5 seconds. As a backup, I used Canon A1100is camera – the same one as in previous launch. The camera was “hacked” with CHDK and ran a script to take a picture every 5 seconds. You can read more about it on this page. Power: During previous flight, powered by 2xAA Energizer Advanced Lithium (model L91) batteries, camera took ~3,200 shots. No kidding! Focus: Specifically on this model, CHDK had difficulty overriding focus to infinity. As a workaround, camera had to point to far-standing trees during power-up: when CHDK started, camera would focus on infinity and CHDK would lock the focus at that position. Settings: same as on this page. Triggering: CHDK script can be downloaded from GitHub. 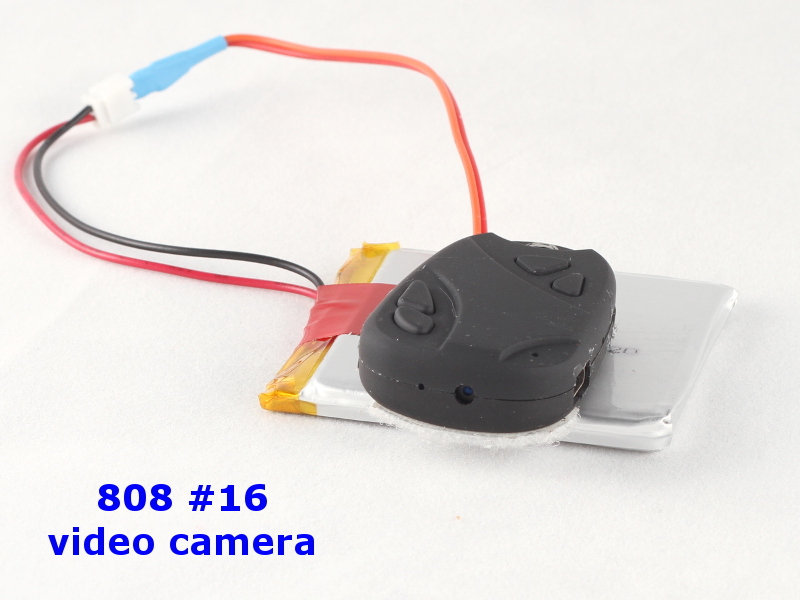 For video footage, I used 808 #16 Micro Camera. It’s an amazing piece of electronics, which weights half an ounce and shoots 720p video of excellent quality. (beware: there are a lot of cheap knock-offs; mine is from this eBay seller). Power: I removed built-in 250mAh battery from the camera, and soldered an extension wire to 2,000mAh LiPo battery. With larger battery, camera could shoot over 2 hours of video before depleting the battery. 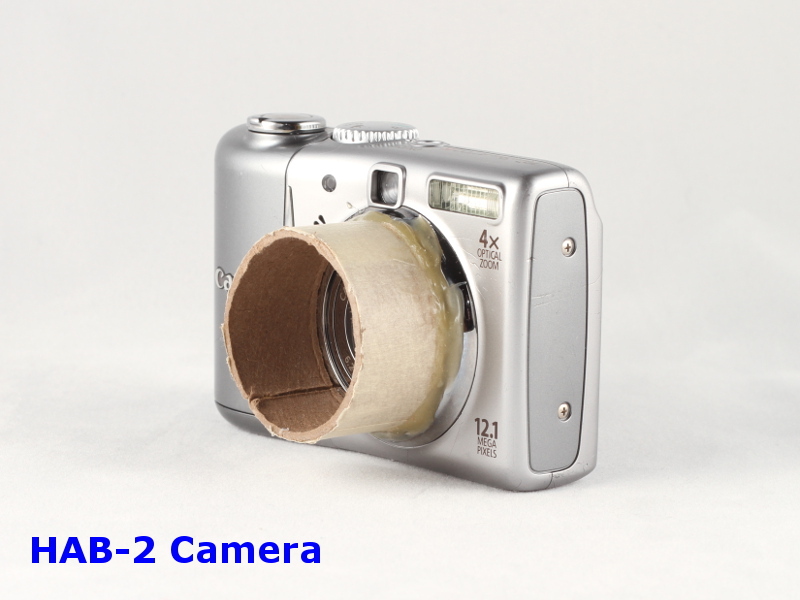 Camera would get quite hot after prolonged use. Nr16Setup utility makes configuring 808 #16 a breeze.